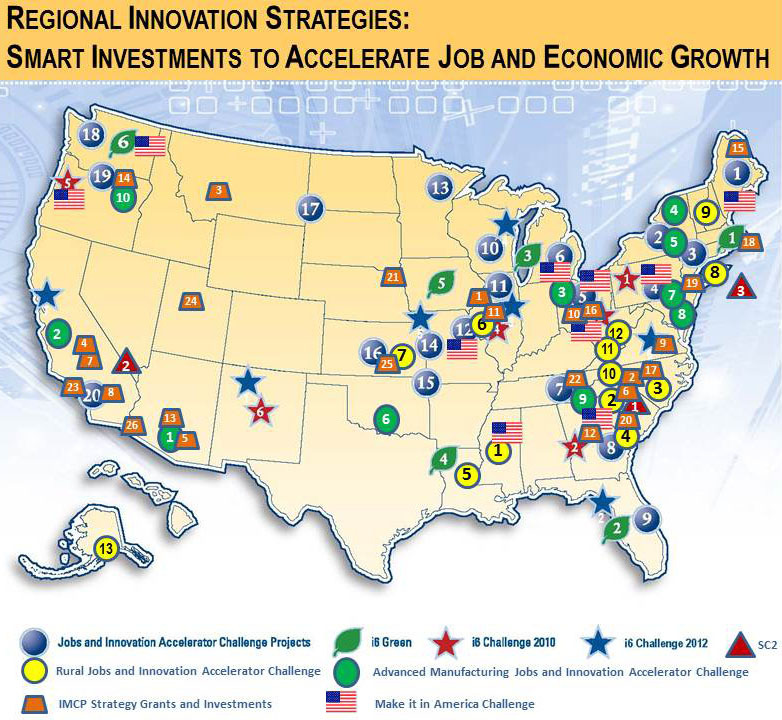 Last year, EDA led the Make it in America Challenge competition, a partnership of the Departments of Commerce and Labor, to encourage foreign and domestic businesses to build and/or expand their operations in the United States. The Make it in America project includes a broad range of regional and state partners. Clemson University, which was awarded $3.5 million as part of the challenge, is working to create a statewide workforce “Virtual Innovation Hub” that will use distance learning and provide technical assistance in innovation engineering. The funding will also finance an addition to and partial renovation of Freeman Hall to establish the Select S.C. Innovation Hub, a digital innovation center built on Clemson University’s campus and run by the Center for Workforce Development. These projects all involve meaningful collaboration across agencies and state and local partners, both public and private, which is crucial for lasting innovation. EDA is proud of its role, and looks forward to continuing efforts to promote innovation, help create jobs and strengthen our economy.